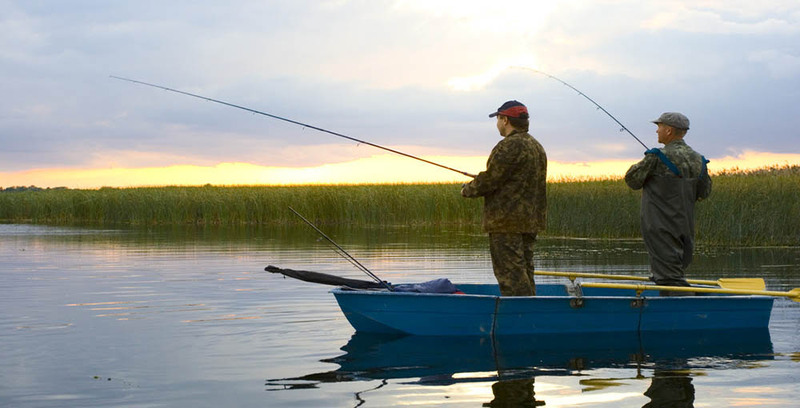 If you’re the type of person that likes to go fishing, then you know how exciting it can be to head out on the water and get started right away. However, there is nothing more annoying than gathering up all of your belongings, getting all excited for a trip and spending all day on the water only to find out that you’re coming home empty handed with no fish to show. You’re certainly not alone but wouldn’t it be great if you had an easy way to increase the number of fish you have? Would you like to bring home bigger fish than the small fish you are bringing home now? If your answer is yes and you do want more, bigger fish, then you are going to find that a fish finder is a perfect option for you. It makes a great place to start for anyone who is tired of getting no bites. 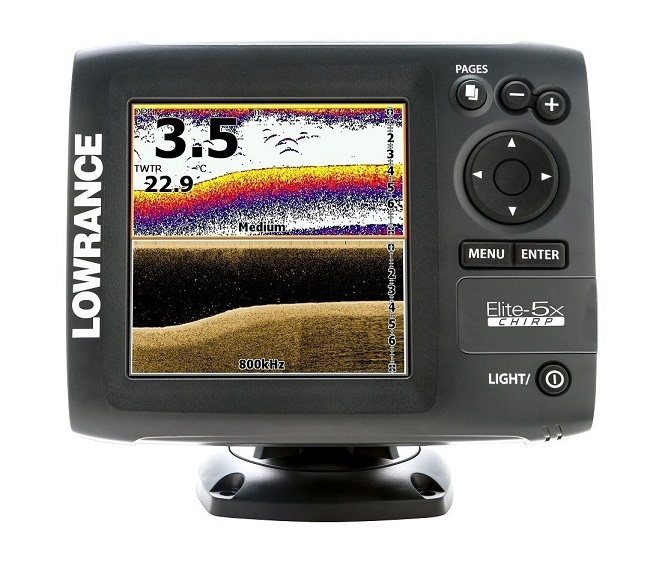 If you want a fish ﻿﻿fin﻿﻿de﻿﻿r, then the Lowrance Elite 5X CHIRP is going to be an excellent choice for you. Once you begin to use this product, you’ll wonder how you ever went fishing without it before. When it comes to the screen on this particular fishfinder, you’re going to love that there is a 5” color LCD screen that allows you to clearly and quickly see everything that is happening in the water below you. The high-resolution screen displays excellent images and is one of the main reasons you’ll have a much easier time finding fish. Thanks to the large screen, you will be able to break it up and view it in multiple different windows as well. The CHIRP Sonar is one of the best parts of this fish finder because it helps make it incredibly easy to find your targets and it makes it simple for you to distinguish bait from the fish you are looking for. You’re going to get better target accuracy at greater depths, and it will allow you to see the fish even if your boat is moving fast. When it comes to figuring out where the fish are and how they look under the boat, this is where the down scan imaging comes into play. This imaging helps to provide picture-like images of the fish structures that are under the boat. Additionally, you’re going to have Down Scan Overlay technology that overlays the Down Scan Imaging onto the CHIRP Sonar to give you an even better picture of what is in the water when you fish. The Advanced Signal Processing on this fish finder, also known as ASP, helps to automatically change the settings on the fish finder to make it easy for you to see all of the fish, structure and bottom details more clearly. With some of the fish finders on the market, you have to constantly adjust the settings on your own to make sure that you are getting a clear and accurate picture of the fish. But thanks to this technology, all of that is going to be done for you automatically which means you can focus on other important tasks. Installation of just about anything can be a real pain, and when it comes to fish finders, it can be difficult because you might not have an easy and clear place that you want to mount it on the boat. Luckily, with your purchase of this fishfinder, you’re going to get all of the hardware that you need to get an easy and simple install. You’ll get a mounting bracket, installation hardware, and a transom mount transducer so that you can install this fish finder in just minutes, so you are ready to go. Since you never really know what is going to happen to technology, especially when it is around water like this one, itis good to know that the company offers some warranty to help protect you. With this model, it includes a one-year warranty on both parts and labors. This means that if anything happens to the unit in the first year of owning it, it should be covered by the warranty, so it will be replaced or fixed without any added cost to you. The sun can cause a problem viewing some of the screens like this one. Does it comes with a sun cover to help fight this? Unfortunately, this item does not include a sun cover. Does this item have GPS included with it or anything that I can use to tell location and speed? There is no GPS on this particular unit it so you would need a separate product for location and speed. What kind of depth is this fish finder capable of reaching? With this fishfinder, you’re going to be able to reach depths of at least 300 feet, which gives you plenty of depth to look at when it comes to finding great fish. Does this include a power cord with my purchase or is it battery operated? It comes with a power cord so that you can easily power this unit on your boat. It can plug into a power source without using any batteries at all. Does this unit make any sounds? If it does, is it possible to turn them off? This unit is going to make beeping sounds every once and awhile. If you find this distracting and want to turn it off and enjoy the nature around you, you can do so with ease. 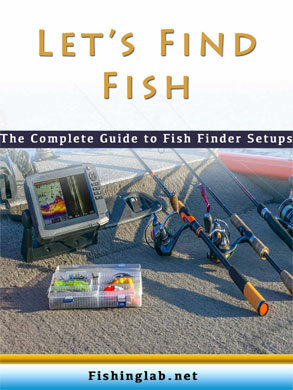 When it comes to just about any fish finder, you should have a good understanding of how it works before you head out on the water to make sure that you don’t run into any problems trying to work it. Despite the fact that this particular model is user-friendly, it can still be difficult to use. For example, this product can be used for depths of nearly 1,000 feet, but if you stay to shallower depths, you’re going to get better results. Additionally, it’s important for you to understand that this is not going to include a GPS of any kind so if you feel the need to have a GPS unit, then you should purchase a different fish finder or buy a GPS to go with it. If you combine this fish finder with another GPS, you are going to find that your results will be so much better compared to just using the fish finder. If you’ve made it this far into the review, it’s pretty clear that you’re serious about buying a fish finder, and Lowrance Elite 5X Chirp is going to be one of the best fish finders that you are going to find today. It comes with everything that you are going to need so that you can just stick it on your boat and you’re ready to hit the open water. The CHIRP Sonar and Down Scan Imaging are going to work together to help provide you with some of the best and high-quality images that you are going to find so that you can find exactly where the fish are. If you want a great fish finder to help improve how many fish you catch, this is going to be one of the best choices for you.